Working across production, financing and demand, the Good Growth Partnership convenes a wide range of stakeholders and initiatives to reduce deforestation and enable sustainable development in three global commodity supply chains: soy, beef and palm oil. Photo: Muhd Fuad Abd Rahim/Shutterstock. I was joking at a recent meeting on financing of commodities supply chains organized by the GEF’s Good Growth Partnership (GGP). It was a gathering on sustainable forestry and other topics well within my area of technical expertise but the finance terminology being thrown around made me feel out of my depth. Nearly 20 years ago when I moved to Indonesia, I never thought that my sister’s job on Wall Street would intersect with mine in the jungle. But here I was, sitting in a room with environmental practitioners and commodity investors, as well as the traders, processers, growers, and retailers of commodities. We all had the same goal: Use finance to reduce the tropical deforestation caused by commercial commodities like beef, soy, palm oil, cocoa, and coffee. The question was, could we speak enough of the same language to find practical solutions that ensured that products were profitable without damaging the environment? Before joining the GEF, I spent years trying to protect our planet’s forests one hard-fought block at a time. For people like me, sitting down with financiers and addressing this problem in a corporate office is a brave new world. But as recent events demonstrate, putting together pragmatic, bottom-line-oriented corporate-types with idealistic, old-school “tree-huggers” to solve the world’s most pressing environmental problems is not as unheard of as it used to be. At COP24, for example, nearly 415 investors with US $32 trillion in assets came together to urge governments to achieve the goals of the Paris Agreement. Numerous other banks and investors are also aligning with the Paris Agreement through platforms like Climate Action 100+ (310 investors), the Soft Commodities Compact (12 international banks), and the U.N.’s Principles on Responsible Banking (28 banks with US $17 trillion in assets). 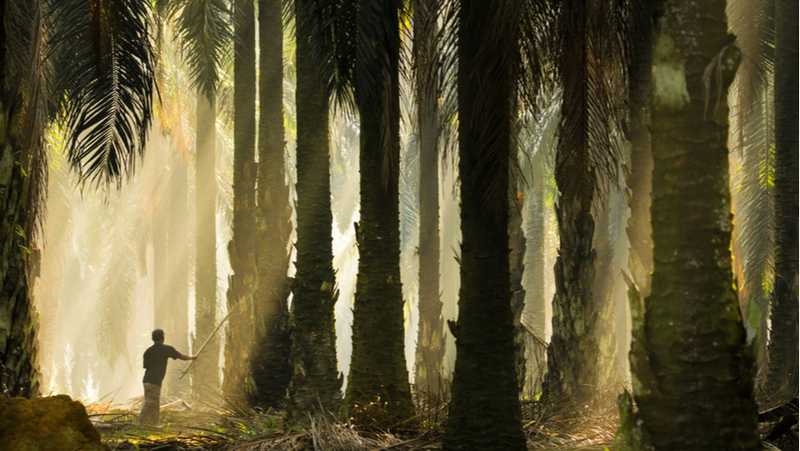 The GEF recognizes the connection between agriculture and tropical deforestation and that the financial sector can play a key role in removing deforestation from commodity supply chains. In addition to applying grant financing, GEF has utilized the non-grant instrument (NGI) to support sustainable commodities production to reduce deforestation. One example of the NGI in action is the more than $100 million "&green fund," which was launched by the IDH Sustainable Trade Initiative and Norway’s International Climate and Forest Initiative and supported by Unilever. The funds de-risk and leverage private sector investments in sustainable agricultural production, on the condition that forests are strictly protected. GEF has also used the NGI to support development of the Coalition for Private Sector Investment in Conservation (CPIC), a global multi-stakeholder initiative focused on setting the right conditions for an increase in private, return-seeking investment in conservation. I can pinpoint the exact moment when I realized the power of financing to protect forests. I was working for an NGO in Indonesia that provided support to a big timber company. This company was interested in obtaining sustainability certification from the Forest Stewardship Council (FSC). It can take years and hundreds of thousands of dollars to transform logging practices to the point that they will pass muster on a third-party FSC audit. The generally perceived upside of investing this company’s time and resources is that once the standard is achieved, wood products can be sold at a higher price than uncertified timber. Increasingly, shareholders and consumers are demanding sustainability certifications from international manufacturers and retailers. I wondered if this was the case for this timber company. Shortly after the company received its FSC certification, I asked the CFO if they had lined up any buyers willing to pay a premium. To my surprise, he said that the company wasn’t looking for new buyers. It was financing that drove the company to seek certification from the FSC. It would allow them to attract big international banks that saw the certification as a reduced investment risk and could provide better payback terms to the logging company. This episode really opened my eyes to the powerful role that finance can play in pushing sustainability. At the GGP meeting, none of this previous experience was very helpful as I wielded terms I barely understood – de-risking, junior debt, first loss guarantee, ESG, long-term reflows – to explain the GEF’s approach. But to my satisfaction and slight astonishment, after finishing my presentation and surveying the table, what I said seemed to have resonated with attendees. I don’t think I’ll be seeking a high-powered position in finance anytime soon but maybe conservationists like me can contribute something to these financing instruments. For the sake of the world’s rapidly disappearing tropical rainforests, we need as many of these tools as possible to be successful. And maybe I can even make my sister proud in the process. Paul Hartman (left) spent many of his formative years saving orangutans (right) in Indonesian Borneo and Sumatra. Today he is a Senior Environmental Specialist at the GEF, working on reducing forest loss and other environmental impacts coming from agricultural commodity supply chains. He hopes that one day orangutans and other critically important global biodiversity will have secure forest homes and that the people who live in these landscapes enjoy stable livelihoods practicing sustainable agriculture. Below photo courtesy of the author.